After hiring movers to help with your residential move in Chicago, you want to ask about the specialty boxes they offer. They will likely have a flat panel TV box you can use to better protect your TV during the move. In addition, use these tips to help protect your TV when moving. Here’s some of the packing materials we offer here at The Professionals Moving Specialists. A commercial move is a huge deal. When you're relocating your office from one place to another, you need to make sure you're organized. Whether your lease ran out or you're moving into a larger space, you need the right office moving checklist. With the right checklist, you'll know everything has been properly packed and moved to the new location. If you need to relocate your office, here's an office moving checklist you can use to help get the job done. Figure out the Time Frame and Schedule for your office move - Include the dates when you will be moving all the equipment, when the staff will begin working at the new location, etc. Find and Secure a New Location - If you don't already have a new location for your office, this is the time to find and secure your new location. Assign Responsibilities and Tasks - It's time to let your employees know you'll be moving and assign the necessary tasks and responsibilities to be done. Create an Inventory List - You should also create a list of your existing equipment and furniture. This will help you to see what you need and don't need. Consider selling anything you no longer need before moving. Create a Budget - You will also want to consider a budget for your move. Consider the cost of a moving company and everything else involved. Hire the right office moving company and find out if anything you will be moving requires special attention. Start holding regular moving meetings to keep everybody on task. Inventory and tag all equipment, furniture, office supplies, etc. Use this office moving checklist as a guide and customize it as you see fit. With the right commercial moving company helping you and this checklist, your office move should go very smoothly. Storing your items for the winter can be a bit of a struggle if you don't know what you're doing. Some items can be damaged from the extreme cold, just as some items can be damaged from extreme heat in the summer. Here are a few tips to ensure your items are stored properly for the winter. If possible, get all your things into storage before the snow arrives. It can be harder to move things into storage once snow is on the ground and it may require professional movers to ensure it's done properly and safely. Before the coldest temperatures arrive and the snow and ice cover the ground, make the time to move things into storage. It's best to clean everything you plan to store before putting it into storage. Dirt can cause issues with stored items and can cause damage to some. In addition, you want to make sure everything is dry. Moisture isn't good for many materials, such as metal and wood. It can cause issues to the item that's wet and even to other items in storage. When storing hoses or other items used for water, keep in mind, the moisture can freeze and expand. This is another way moisture can cause an issue. If you plan to store something for the winter that needs to be repaired, get the repairs done now. When the spring comes along and you pull out things, such as a lawn mower or other outdoor tools, you may find the damage is worse because you didn't get the repairs done before storing the items. Any old storage unit won't work for most items during the winter. Even boxed household goods could end up damaged due to the harsh temperatures. It's best to choose climate controlled storage for your items when storing them for the winter. 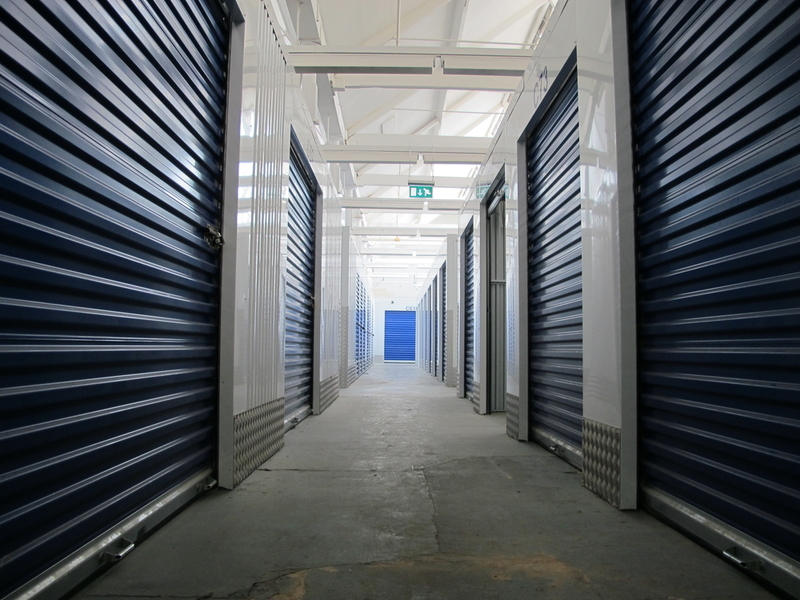 With climate controlled storage, you don't have to worry about items getting damaged due to cold or hot temperatures. It's the best option for winter storage and year-round storage. Many items can be damaged due to the cold temperatures. Anything with a battery, liquid items, electronic, and many other items may not work the same or at all if you don't use climate controlled storage. The changing temperatures and extreme weather can cause condensation within electronics, which may cause irreparable damage. Anything liquid may freeze and expand, which could cause cracks to the container and it may leak onto other items. This can also include battery cells in mowers, small engines, cars, and other battery-operated items. Storing your items properly during the winter isn't always easy. You need to be sure to consider the items you're storing and the extreme temperatures the winter will bring. However, if you follow these tips and you use our climate controlled storage in Chicago, you'll have far less to worry about.